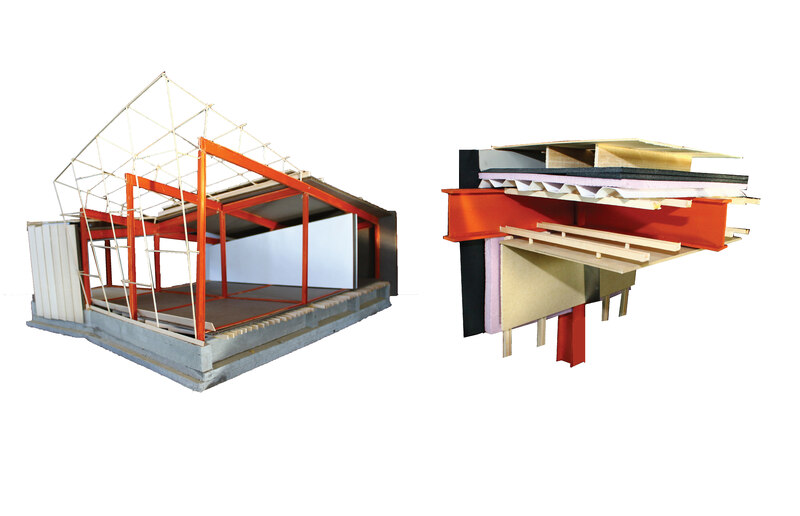 An iterative conceptual modelling process was employed to investigate how architecture can respond to existing site conditions. 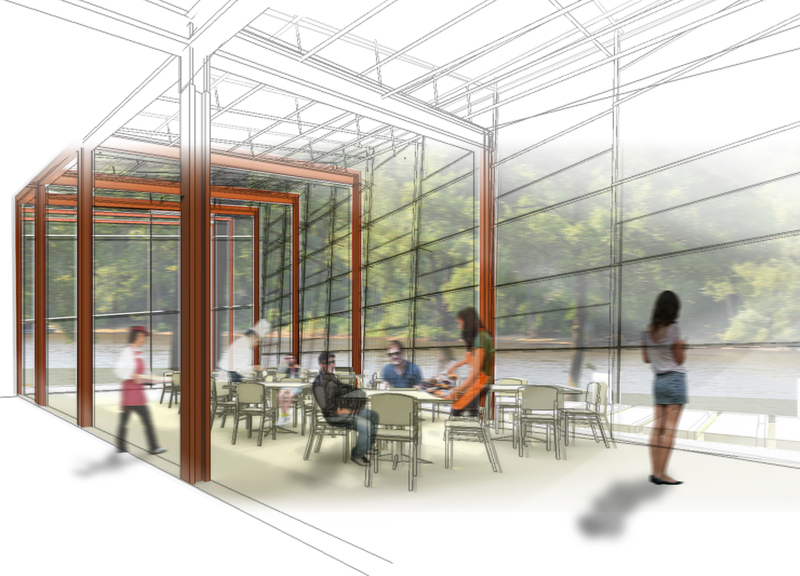 The glazed wall is canted to face the river, and the dining room reaches toward the trees. The program include studio gardens and kitchens for the leaning center, a dining room (80 seats), and a staff kitchen. 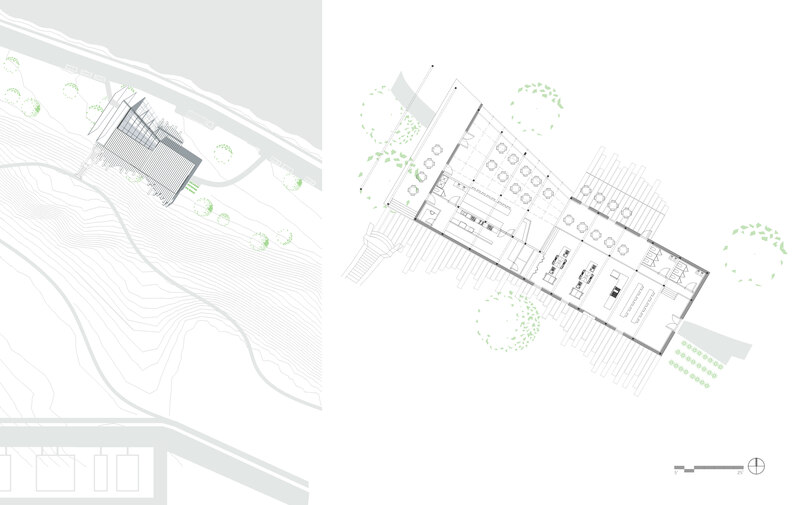 The experience of the restaurant connects people to the land that produces their food, and to the river as the building seemingly dissolves into the site. 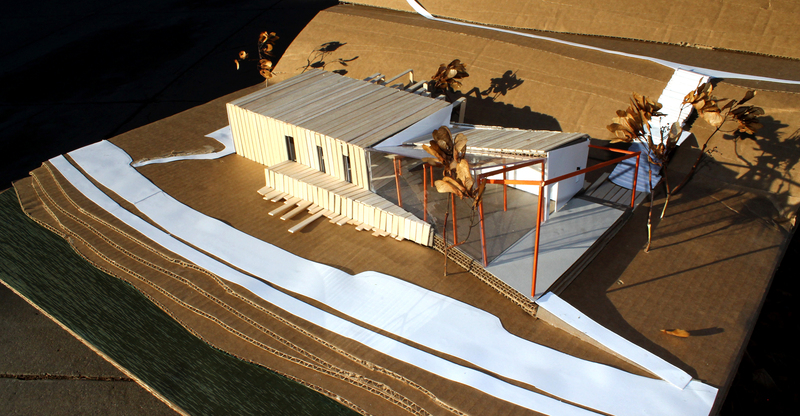 Several models were created throughout the design process to explore how form and program respond to site conditions. In Riverside Park the large Elm, Oak, and Maple trees define the natural space, and the slope includes a weathered staircase built in the 1920 by the Works Progress Administration. These feature defined the placement and form of the Riverside Leaning Restaurant. The restaurant is sited along the Mississippi River in Riverside Park in South East Minneapolis. The building lies on West River Parkway, and is connected to nearby biking and hiking paths. Natural materials and an open view to the river create an atmosphere integrated with nature. The design was explored at various scales – depicted below are models of a complete transverse section st 1/2″ = 1′ – 0″ and an 1 1/2″ = 1′ – 0″ detail model.